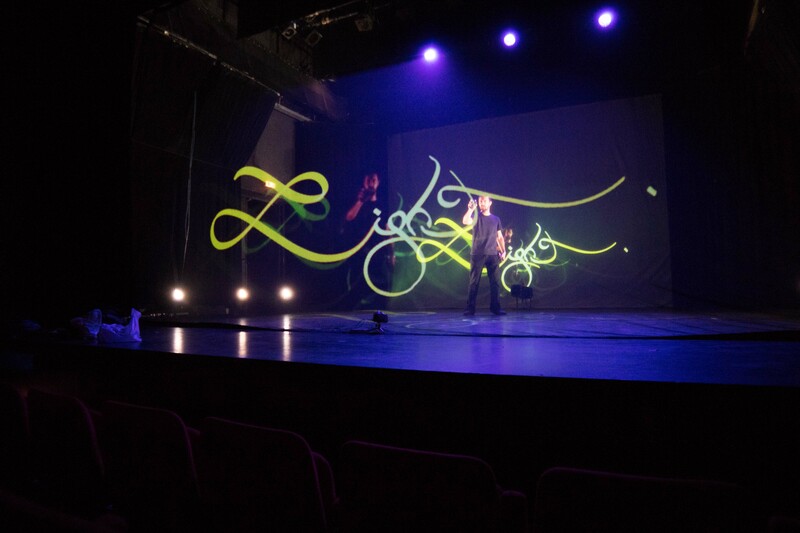 Julien Breton and Studio light painting decided to work together to set up a real time lightpainting calligraphy performance. 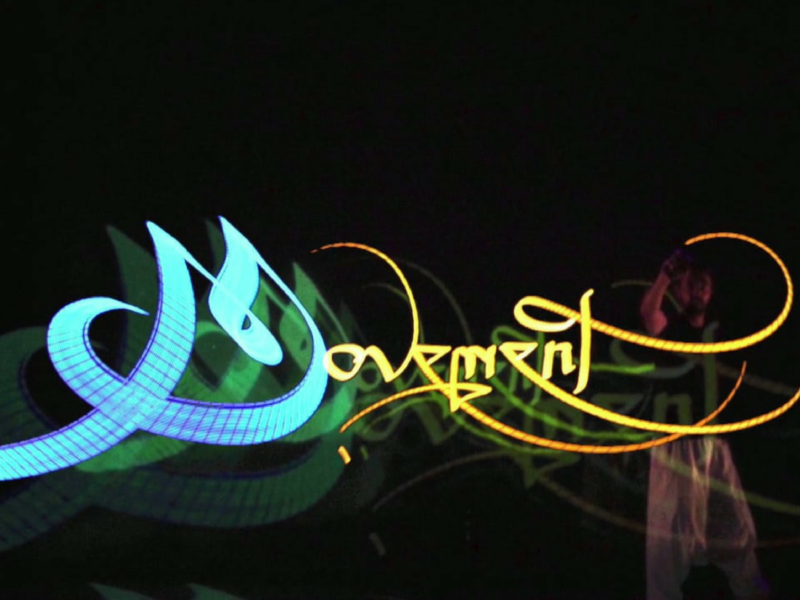 The idea of ​​this project was born in 2015 during a collaborative work to create a new concept of artistic advertising, combining calligraphy and Real time video. 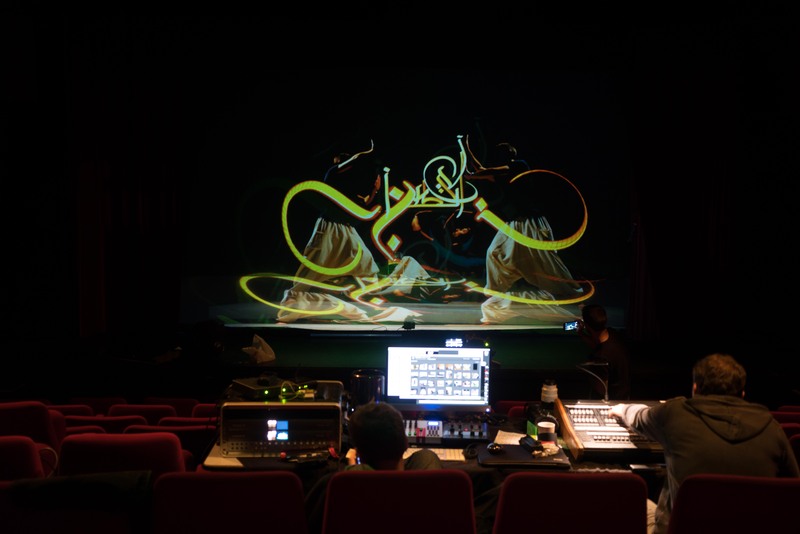 After the success of the advertising campaign, Julien Breton, Cisco and William decided to merge performing art with visual art to create a unique show. 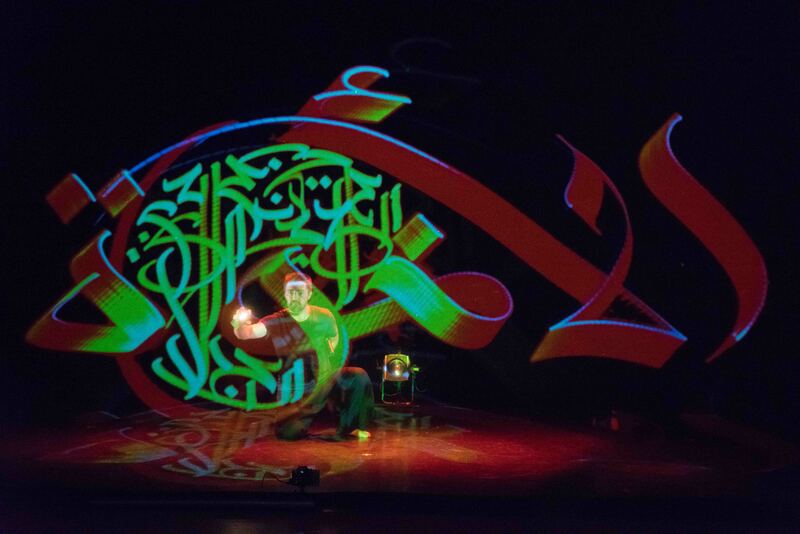 This performance is an unprecedented gestural expression that will turn the light to motion, calligraphy, sound and choreography. 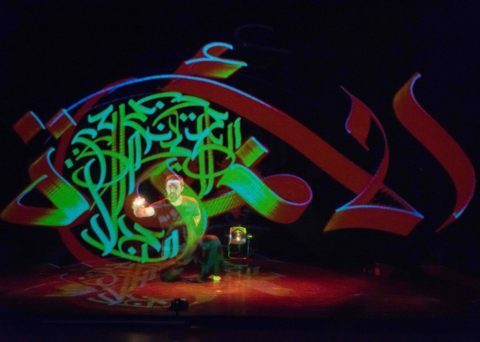 Julien Breton was always looking for new ways to connect the calligraphy to the scene. 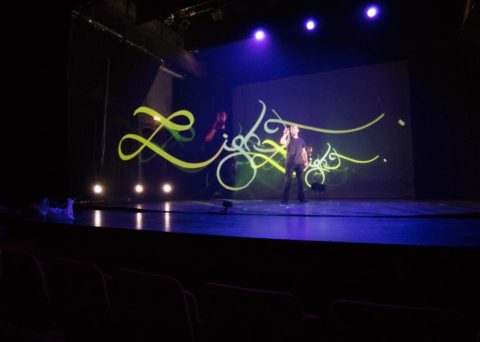 After his performance « Turn off the light » and his show « Footprints » merging calligraphy, music, dance and photography, the artist had a new ambition: to develop a new medium of expression: the real-time calligraphy. In addition to viewing the performance in real time. The sound is the star novelty of this show. Lightpainting Studio has designed a new device with motion sensors that will generate an audible tempo with every movement of the light brush. Julien Breton will be the trigger of the sound. 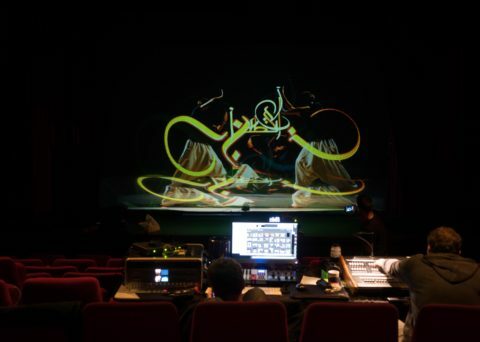 This new technology will enable a new form of theatrical expression combining visual and sound, a totally immersive show for the audience. This performance will merge reality with virtual. 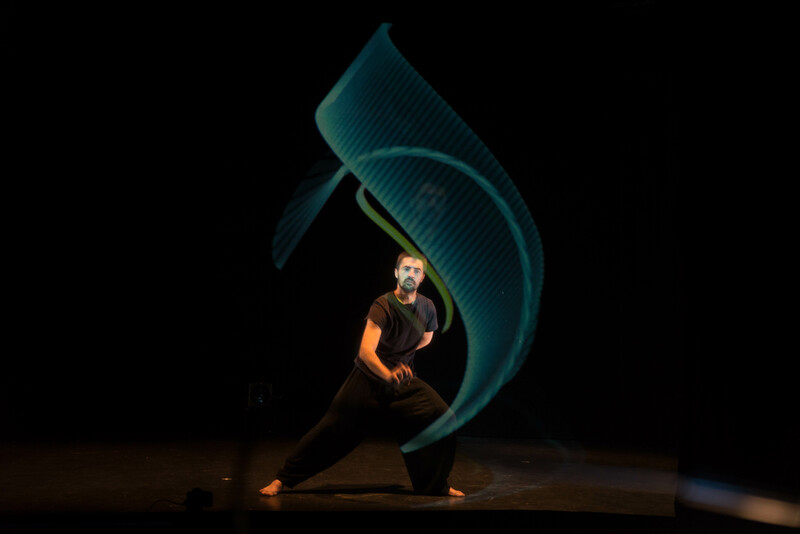 « The Movement » is not just a show; it is an all new invention that offers a new horizon for the artistic light expression on stage.